Martin was born in 1981, he stared in Joesph with Jason Donovan and Phillip Scholfield at the London Palladium. He didn’t get to try on the Amazing Technicolour Dreamcoat though. His Grandad worked with John Logie Baird so he must have inherited the TV gene from him. Martin studied at Ravensbourne College of Design and Communication and after that, lived in Spain for 7 years on the Costa Blanca topping up his tan. 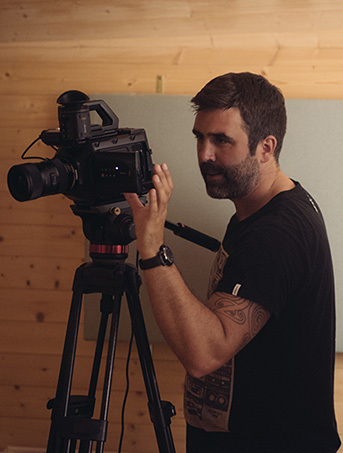 Martin is versatile and multi-skilled - camera operator, Ronin operator and Premiere Pro editor. He can also perfectly light talking heads, even in the smallest of broom cupboards.